The frustration of not finding the old-world, quality bread in the city goaded Allain Coumont to turn a baker. In the 1980s in Brussels the government regulated the price of bread. The only way for bakers to make money was to invest in machinery. Dissatisfied with the assembly line variety of bread, Allain bought a bread oven for $40,000. And that’s how the bakery Le Pain Quotidien became an accidental bakery café serving rustic loaves, simple salads and tartines (open-faced sandwiches). 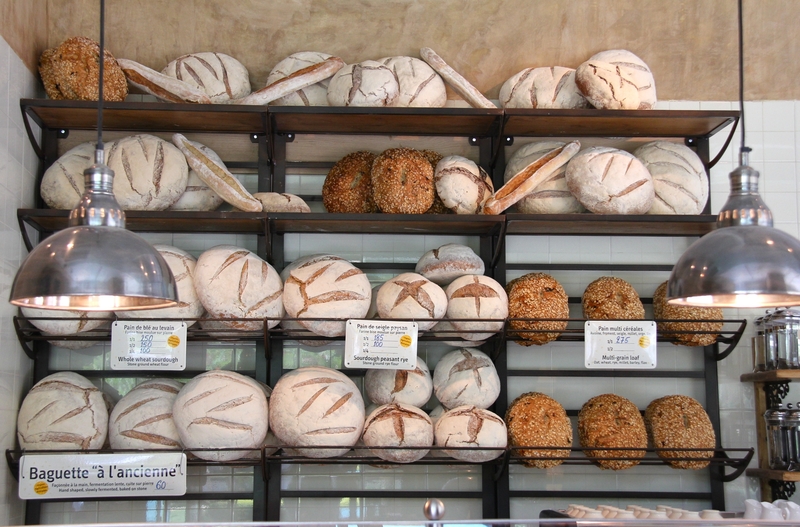 Today, Le Pain Quotidien runs mo re than 150 bakery-cafés throughout the world, in over 19 countries. Last year the Belgian bakery café opened its first outlet in Colaba, Mumbai followed by another outlet in the suburbs at Bandra Kurla Complex. From 1990 to now…how has the journey been? Le Pain Quotidien started in Belgium in 1990 as a small artisan bakery selling three types of bread and a few cakes and sandwiches. The company got off to a shaky start and I had to shut store as I was bankrupt before I had sold my first loaf. But I raised more finances and within the first year added three new locations. 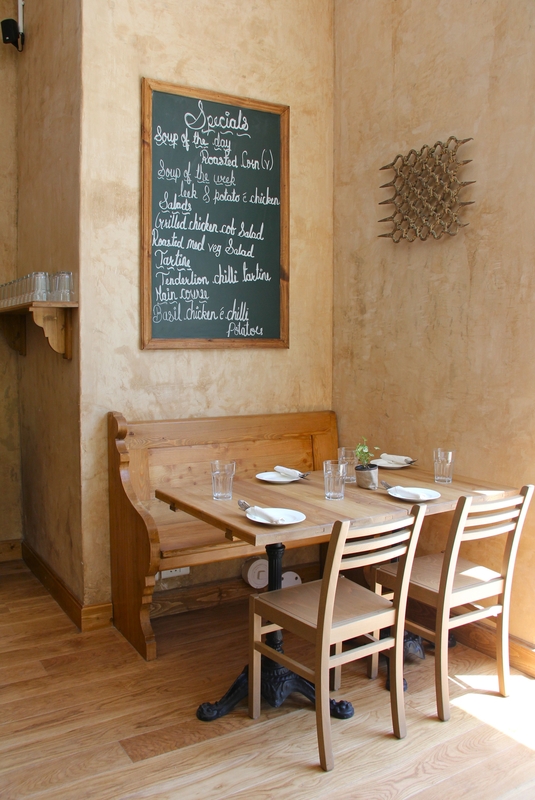 The first US Le Pain Quotidien opened in Manhattan in 1997, and we entered London in 2005. It’s been fun. Time has flown by, and it still feels like the adventure is just beginning. What were the initial challenges when you launched LPQ in 1990? The biggest challenge in those days was that the labor cost in Europe was extremely high – approximately Euro 20 per hour. I got around this by working very efficiently myself, and I only hired one employee in the first store to work with me, to take orders and pass the orders whilst I baked and cooked. I also kept my offering short to a certain number of hours in the day, and developed efficient preparation. So how many LPQs today? Are all the outlets owned? We have 175 bakery-restaurants in 18 countries, of which 90 are company owned. The balance is owned by exclusive partners for each country or region. You have had your share of misfortune and inexperience (having sold your rights to Van de Kerkhove, early on in the business). What are some of the lessons you have learnt early on? Be well capitalized or grow slowly. When did you move to organic? How does going organic affect the business? At first I bought organic food for myself and I kept worrying that I was poisoning 15,000 people in New York every day with my restaurants. Our first organic products were flour, coffee, milk and sugar. It took us seven to eight years to add eggs, cheese and ham. We introduced organic ingredients in 1999 to end the century on a good note! The implications of going organic are that it increases your cost of goods, but our experience is that we have satisfied customers who keep returning. It also helps me sleep well at night. What’s the status? Are all your cafes organic? Yes, to a different degree depending on local market availability and consistency of supply. We also believe in supporting local producers and farmers. We keep innovating and adding more organic ingredients all the time. Why do you think your concept has been so successful? Because all aspects are in symbiosis – simplicity, quality, conviviality. Our guests feel like we are an extension of their living and dining rooms. You are the biggest purchaser of organic food in America. What are your spends on it? It’s USD 20 millions per annum, just in the USA. You are also a wine producer. Tell us something about that? Yes, I am. My goal was and is to produce, organic low yield product, with little or no sulfites which I could sell at a reasonable price. I live 45 miles outside Montpellier in the wine-growing region of Languedoc-Roussillon. I bought a 1750s country mansion and 100 acres in 2001 so that I could grow organic vegetables and wine. You were an apprentice with Michelin-starred French chefs Alain Senderens, Georges Blanc and Michel Guérard. What were some of the things you learnt from them? Perfection, hard work and military discipline. In a kitchen, if you don’t follow orders, roles and chain of command, the dishes break down and the execution of the dishes is imperfect. 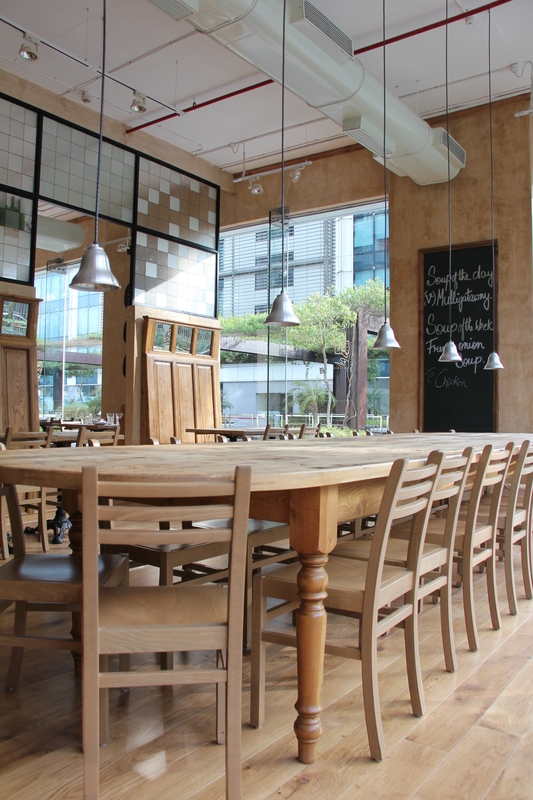 You use reclaimed wood in construction, and employ energy-efficient lighting throughout your restaurants. Tell us something about these initiatives? We believe in supporting environmentally friendly practices. We also believe ‘eco’ can stand for both ecology and economy, where it doesn’t have to be expensive to be socially and environmentally conscious and do some good. 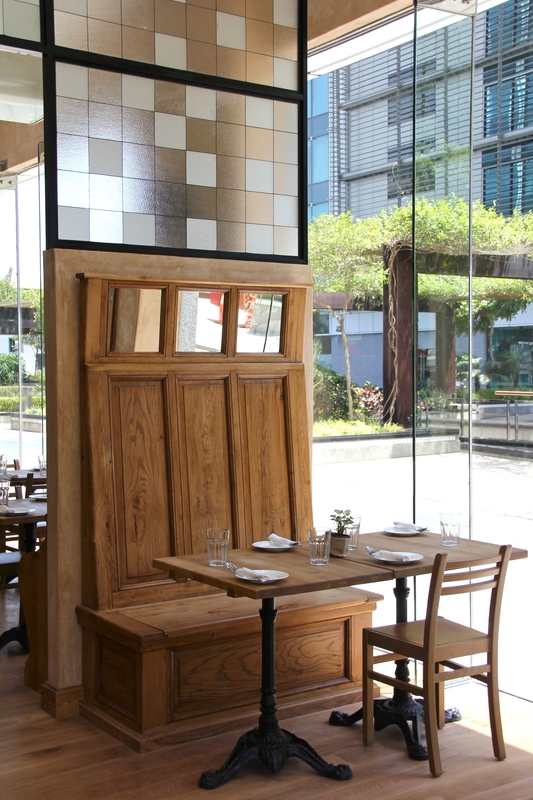 The community table is a much talked about concept of LPQ? How did it come about? It was a happy accident that happened in our first bakery in Brussels. I had a rush of people coming in when I opened to buy bread and try the soups, salads and tartines. The shop was tiny and there was nowhere for people to sit. I didn’t have much money in those days, so I went to a flea market and bought a long seamstress-like table that I plonked into the middle of the store for people to sit together and eat. It proved very popular and is now an integral part of our identity. The old stuff – staple ingredients, back to basics, what we call peasant food in Europe. What’s the toughest thing in the food business? Hygiene and food safety. There are many ingredients that must travel a long way in most cases from farm to table. The journey along the way can result in food not safe to eat if the infrastructure and logistics are not optimal. Within the restaurant one must constantly follow designated protocol minute by minute, hour by hour, day by day to maintain hygiene. This is hard to maintain for most operators. Lastly what’s your personal goal? Stay focused on the health of my customers and patrons, and to keep cooking for another 40 years.